Business Planning and your personal financial plan often go hand-in-hand. Business owners have unique risks and opportunities that impact their financial plans and we understand just how hard it is to start up and grow a business – and also how rewarding it can be. We’ll work with you to help you save in the most tax-efficient manner with employer sponsored plans (401ks, SEP and Simple IRAs, etc.) – and help you decide which will be most advantageous for your unique situation. We can help you acquire group insurance coverage (when the time is right) and make sure you and your family are protected even if you are just starting your business. We can also help you formulate and fund an “exit” strategy or a transition plan. 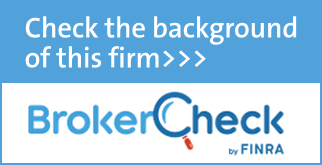 As independent brokers, we can help you find the most cost-effective buy/sell and key man coverage as well. If you are counting on your business to fund your retirement, let us help you make a plan.